What's up with localization companies leaking news lately?! Furthermore, why does it seem to only happen to Level-5!? Localization company 3Beep currently has a job posting on their site that outright confirms localization of The Snack World, and that goes for both the game and anime. The headline of their job post flat-out says so! 3Beep is working with Level-5 to create the English language versions of the television series and video game. 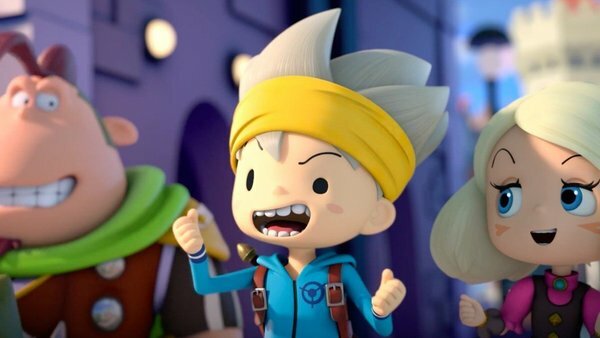 While it's likely the 3DS version of The Snack World is going to be left in Japan, The Snack World: TreJarers Gold for Switch seems very likely the target of localization. If Level-5 was’t so grossly incompetent we could’ve had this a year or so ago and both versions. I am sick of their inability to handle their franchises in the west and lost interest in the snack world long ago. About time we hear something about this. Been interested in this title for some time.